Tired of searching the millions of products on AliExpress and Shopify for potential winners? 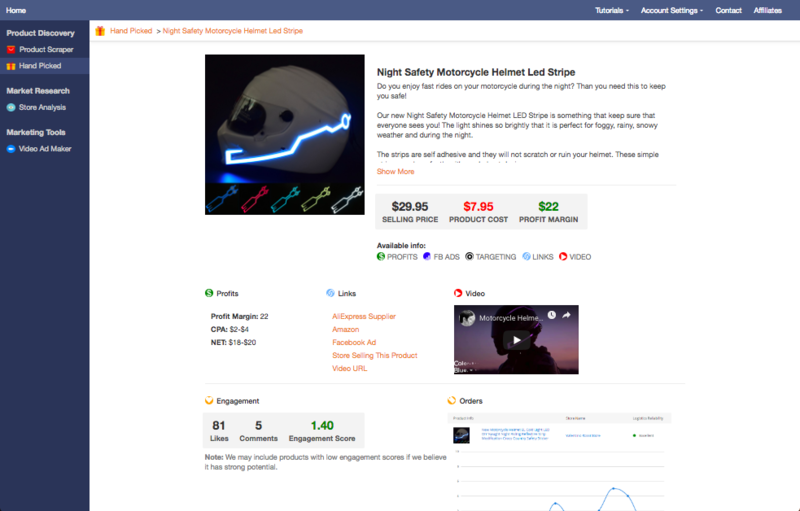 Our product scraper analyzes thousands of products each day to show you which have the highest dropshipping potential. 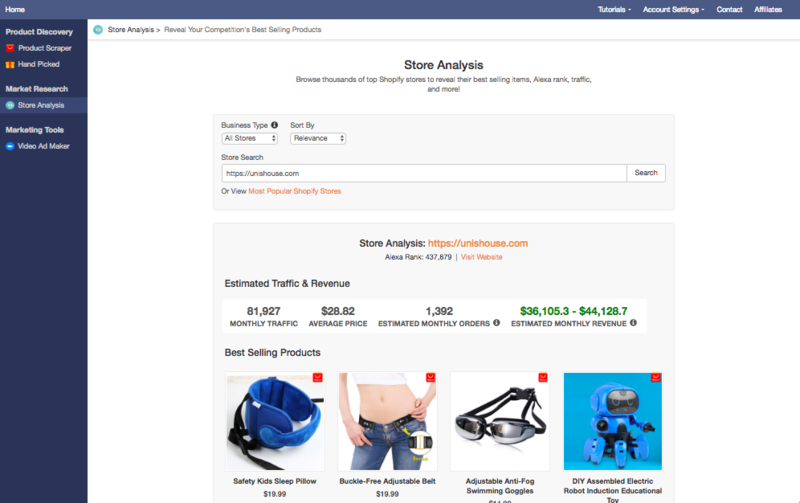 Store analysis lets you spy on other top stores to reveal their best selling products, traffic data, sales estimates, and more. Gain a competitive edge by understanding the market. A curated list of winning products hand picked every day with suppliers, ad examples and more! A great starting point for store owners who want to hit the ground running. 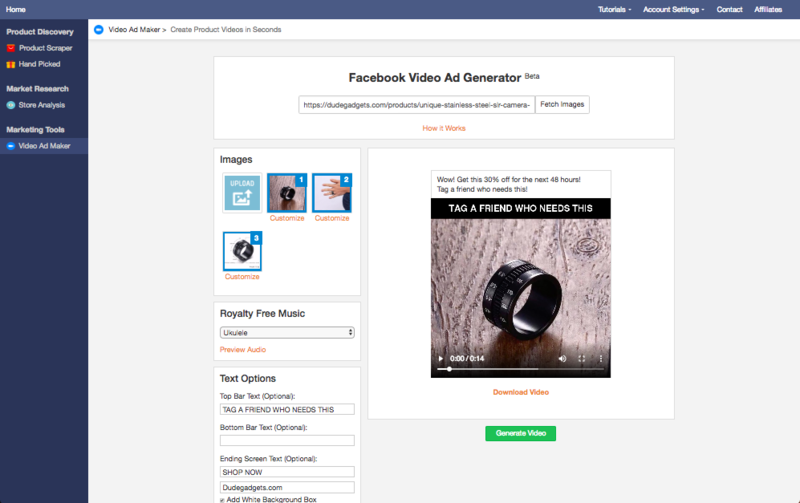 Create high converting product videos for your ads in seconds. Just paste your product link and you're set! Perfect for testing product ads quickly and effectively. The Niche Scraper is an extremely powerful dropshipping and product research bot. It allows you to spy on other Shopify sites and find guaranteed winning products. 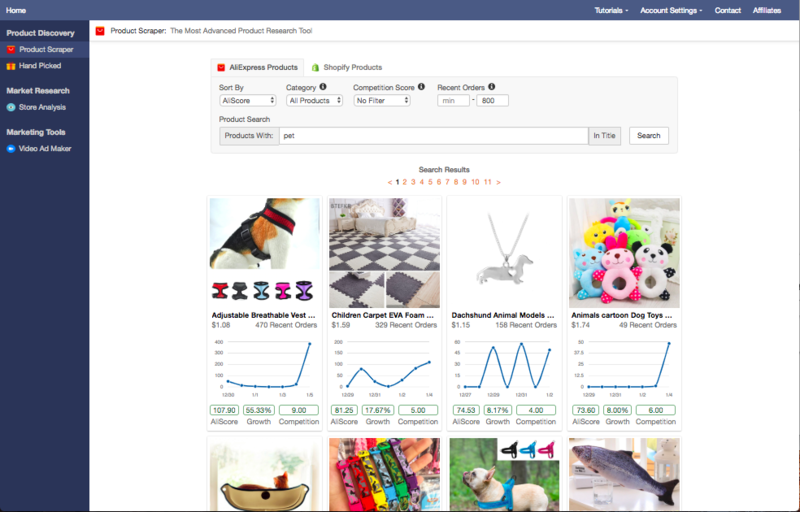 Take the guess work out of your research and allow our web crawler to show you products that are proven to sell.